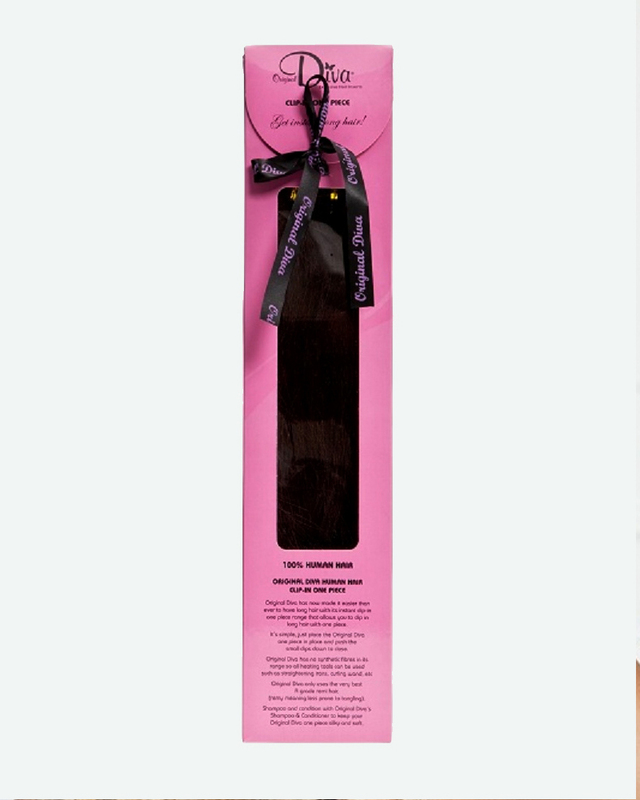 Original Diva has made creating instant length as simple as it gets. This product makes you look amazing whilst feeling comfortable and confident. 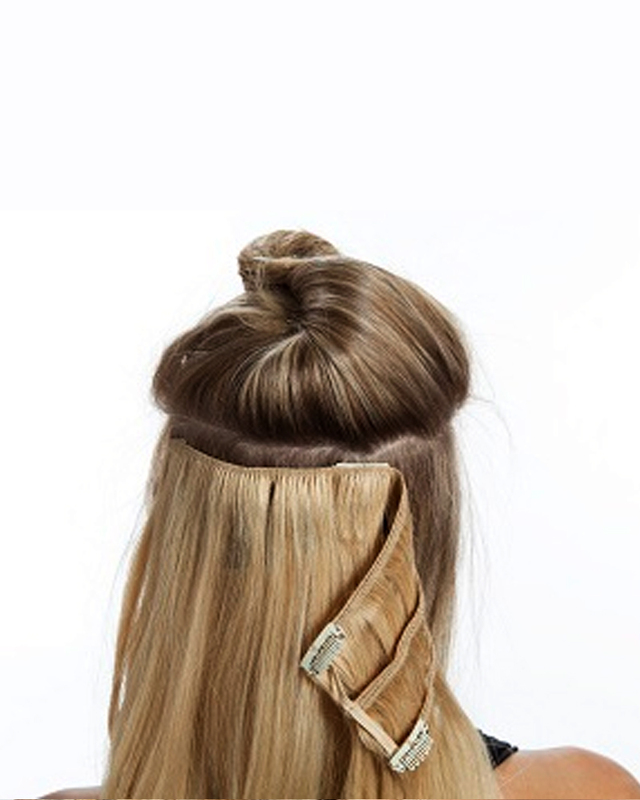 Hand made and using the best quality hair, it has never been easier to attach 3 rows of wefts with two clips. The One Piece demonstrates we know about premium quality hair extensions that look amazing, feel natural and can be reused when required. This product is designed as three rows or wefts that are attached to create layers of human hair and the desired length and thickness. This product is also very convenient, allowing you to place 3 rows in the hair in the same time it normally takes to insert 1. This product is also great for clients that have a blunt haircut. To install, please refer to our how-to video. You simply section the hair all the way around the back, place the one piece in the hair starting with the middle clip and the clips on either side. 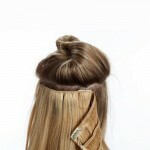 You can then clip-in the lower clips to firmly secure the extensions. 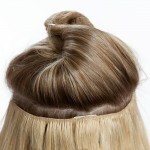 This product is hand made and made from Remy 100% Human Hair. The hair is best quality, natural and provides longevity so it cab be reused a number of times. You can Also use all heating tools such as straightening irons, curling wands, to create your desired style. The weight of this product is 130g. Original diva has now made it easier than ever to have long hair in an instant. 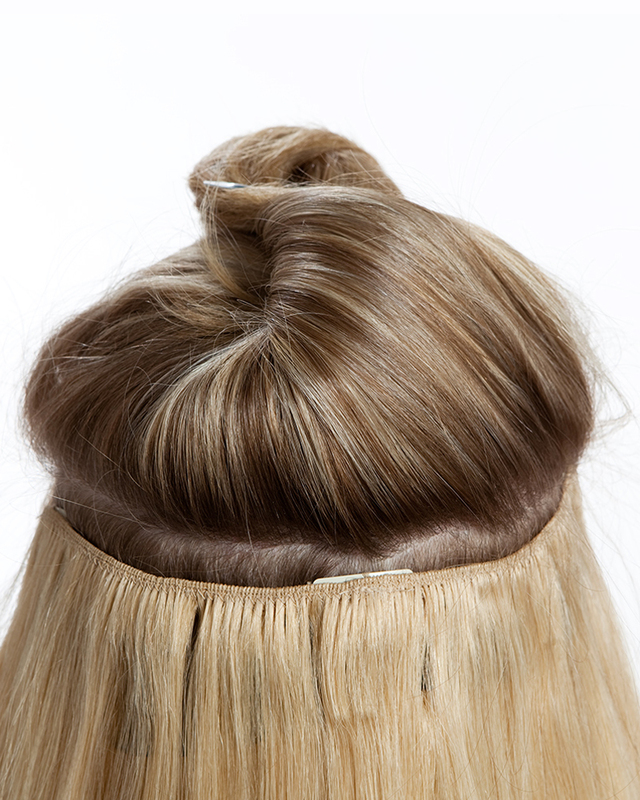 The one piece has three rows attached to one allowing you to place three rows in the hair in the same time its takes to insert one. This product is great for adding length and volume designed for the clients that have a blunt hair cut or wants a quick install. Simply section the hair all the way around, Place the one piece in the hair starting with the middle clip all the way around you can then use the bottom clips to secure. 100% A grade Remy Human hair. You can use all heating tools such as straightening irons, curling wands, to create your desired style. How long does it take to deliver products? Within the US it takes 4-5 days to deliver your products, we also have express shipping available (2 -3 days) for an additional $14.95. Can I change my color if it does not match my hair? Can I get a full refund if the product is not right for me? Can I use heating and styling tools on this hair? I love this product. The extensions are fantastic quality and I wear mine every day. My colorist matched my colour exactly. Customer service is brilliant.